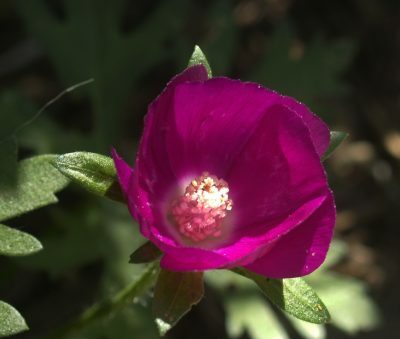 Winecup (Callirhoe involucrata) is a native groundcover perennial that blooms in spring. They form a sprawling evergreen mat to explode with vivid purple flowers in March or April. You can also find varieties with white flowers. They bloom for weeks, opening in the morning and closing at night. Extend their blooming time by deadheading spent flowers. Soil: They grow in many soil types, as long as it is well-drained. They like shallow, gravelly areas, even preferring the small cracks between landscape pavers to a richly amended garden bed. 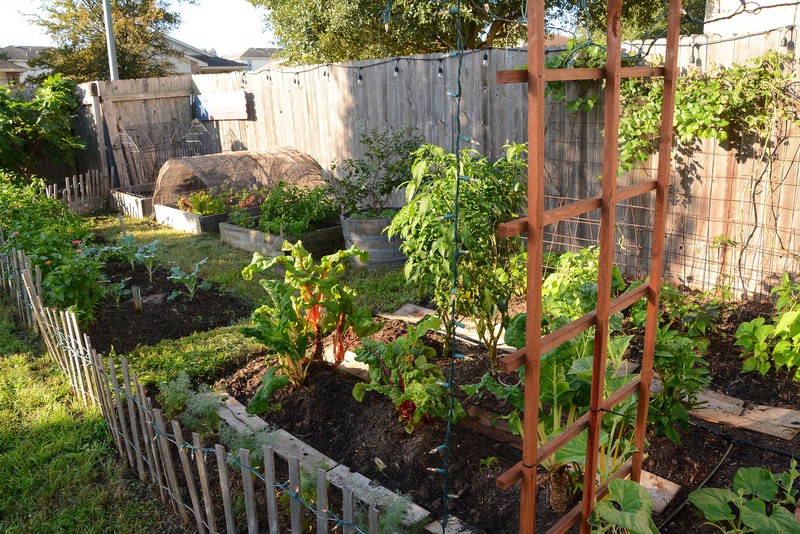 In heavier soils, loosen it with decomposed granite or compost. Don’t mulch them heavily with wood mulch. A little is fine as long as the area dries out. Size: groundcover to 6-12″ tall, can spread to 3′ wide. Water: Need very little. Overwatering can cause the fungal disease, rust. When to plant: Plant seeds in October or November. Transplants can go in any time, though not in summer’s heat. The perfect time is fall or spring. They do re-seed in good conditions. Pruning: Deadhead flowers to extend blooming time (unless you want seeds!). Trim back dead growth in late summer to encourage a flush of growth in the fall. Winecup should also be pruned back to its base in late winter, before the new spring growth emerges.